Cooking properties: C, the texture is mainly solid. Early nutritious matter accumulation. Pulp color: clean, yellow and it doesn’t get dark after boiling. The potato top growth is continuous. Greensprouting of the seed potato is recommended. The Nandina potato is the groundbreaker among the table potato sorts. 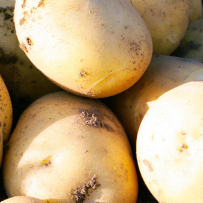 This seed potato sort raises medium to high demands to the ground and moisture. 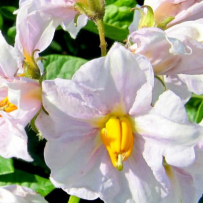 It is highly recommended to plant it into well-cultivated grounds. 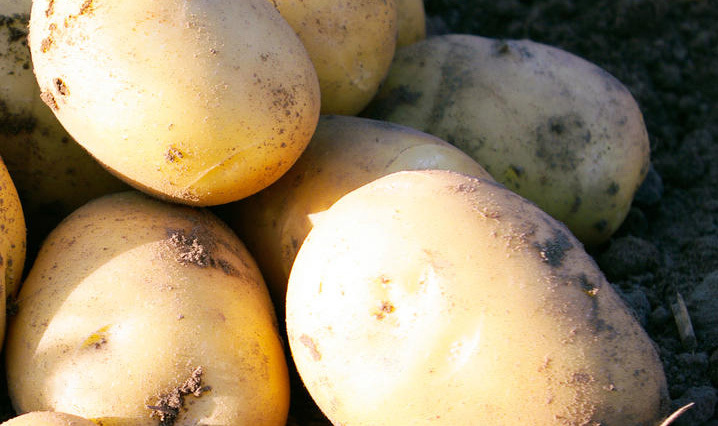 In case of early harvesting or planting the potato under a tent greensprouting is recommended which will also contribute into early tuber maturing. The Nandina sort forms a moderate to large number of tubers in a hole so the potato shall be planted with the 32-34cm distance between the tubers (the distance shall be smaller in case of late harvesting) and the 75cm distance between the rows (~43.000 plants/hectare). This sort is responsive to systematic fertilization. The Nandina sort is referred to the new type of potato with decreased needs in nitrogen. The general (gross) nitrogen value: up to 160kg/hectare (considering the Nmin, organic fertilizers ± correction depending on the peculiarities of the particular region). 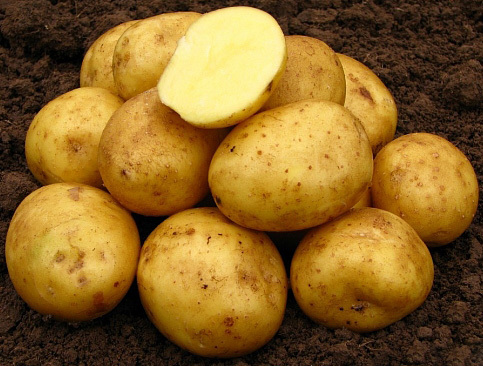 Together with the К2О (200–250 kg/hectare, C class) and P2O5 (100 kg/hectare, C class) it is necessary to consider the availability of magnesium in the potato. It is also necessary to consider the afterharvesting residues and organic fertilizers. Systematic blight-protecting treatment is recommended. 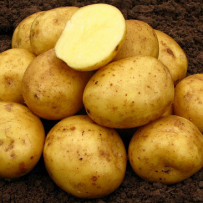 Multi-step desiccation shall be conducted in order to maintain the internal and external quality of the seed potato and improve the durability of the jacket.